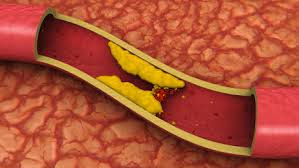 Experts are saying not every aspect of saturated fat is unhealthy There are actually some that are very good for your system depending on their overall make-up such as the high content of medium-chain triglyceride and lauric acid in it. A good example of this kind of oil happens to be coconut oil. Coconut oil which has hitherto been given little or no attention is useful and healthful to your entire system in many ways than you can ever imagine. And for the purpose of this particular discussion, experts say it is really able to enable you maintain a good blood pressure, as well as decrease your risk of heart related ailments or cardiovascular diseases. Research has revealed that coconut oil when consumed on a regular basis – say 2 to 3 tablespoons on a daily routine, is capable of decreasing plaque which is a layer of cholesterol that is built up in the arteries. 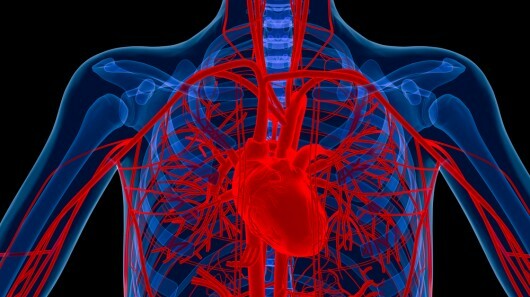 What the oil does is help convert the fat blockage in your blood vessels into a good kind of cholesterol that is useful to your body. The coconut oil is able to rather fight off the bad cholesterol in the blood stream which cause or lead to cardiovascular diseases such as hypertension and heart disease. And so by the action of triglyceride and lauric acid, coconut oil has been found to ameliorate blood curdling or clotting; it also acts as a potent antioxidant in the blood stream thereby reducing your risk of contracting a heart disease. One unique thing about coconut oil is that it contains a combination of fatty acids which contain powerful medicinal properties. 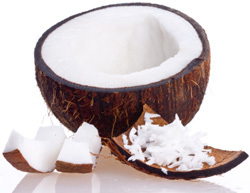 Coconut is a plant food and plant-based oils are more than just fats. They contain many antioxidants and other substances, so their overall effects on health go way beyond the changes it brings in your LDL and HDL. 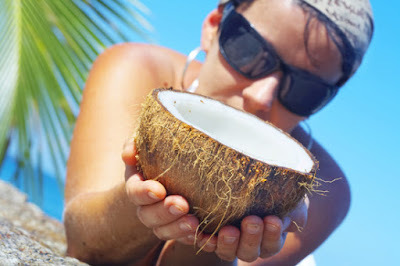 For all that it is capable of doing is the reason the coconut is classified as a ‘superfood’. The very active fats contained in coconut oil are not your regular types of fatty acids like you find in full cream milk and red meat, but rather the medium-chain fatty acids of this fruit are metabolised differently. The fatty acids of the coconut oil go direct to the liver from the alimentary canal; there they are used as a quick source of energy or turned into so-called ketone bodies, which can have tremendous healing effects on brain disorders such as epilepsy and Alzheimer’s disease. However, Dr. Walter C. Willett of Harvard School of Public Health Department of Nutrition, and Harvard Health Letter Editorial Board member, affirms that “coconut oil gives “good” HDL cholesterol a boost..,” but he also warns that “Too much saturated fat in the diet is unhealthy”. And so you are therefore advised to consume your healthy and natural flavoured coconut oil rather sparingly. But Thomas Brenna, professor of nutritional sciences at Cornell University insists that your best bet when shopping for coconut oil is that you go for Extra Virgin Coconut Oil which has been extracted naturally without any form of hydrogenation.